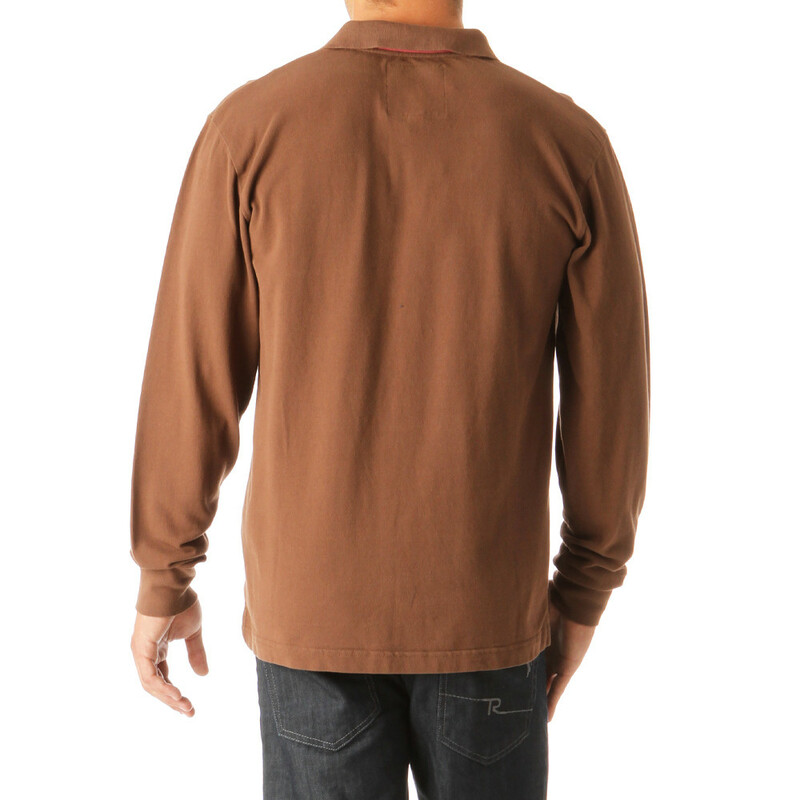 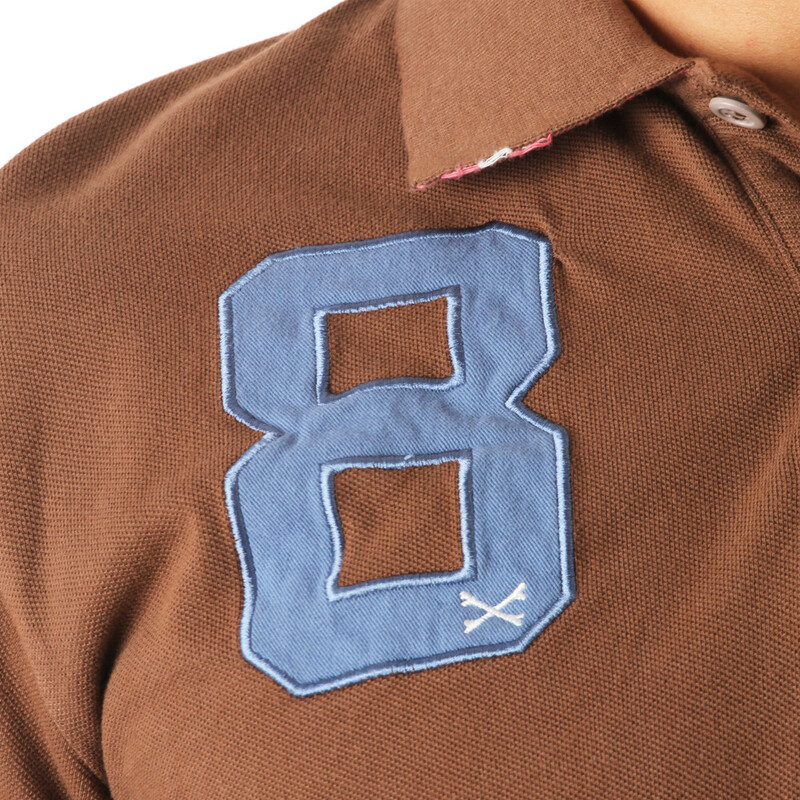 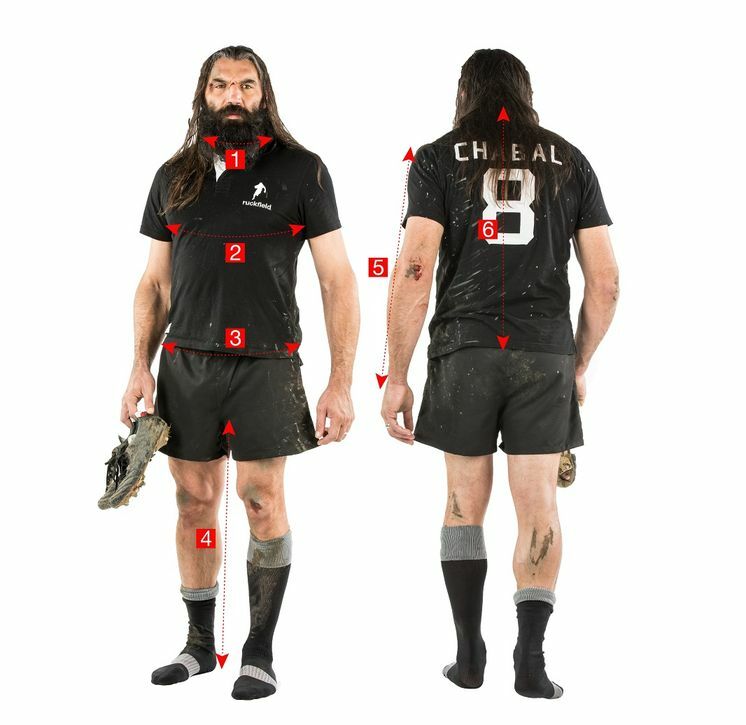 The brown cotton piqué rugby polo shirt is embroidered on the chest with Sébastien Chabal's outline and his N°8. 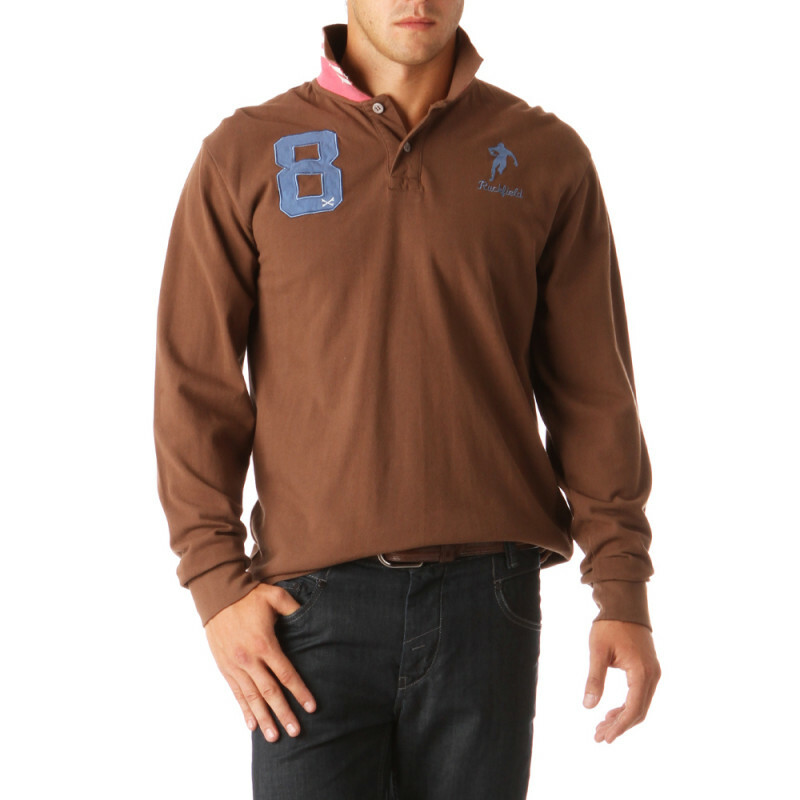 The pink wrong side of the collar gives it a touch of fantasy. 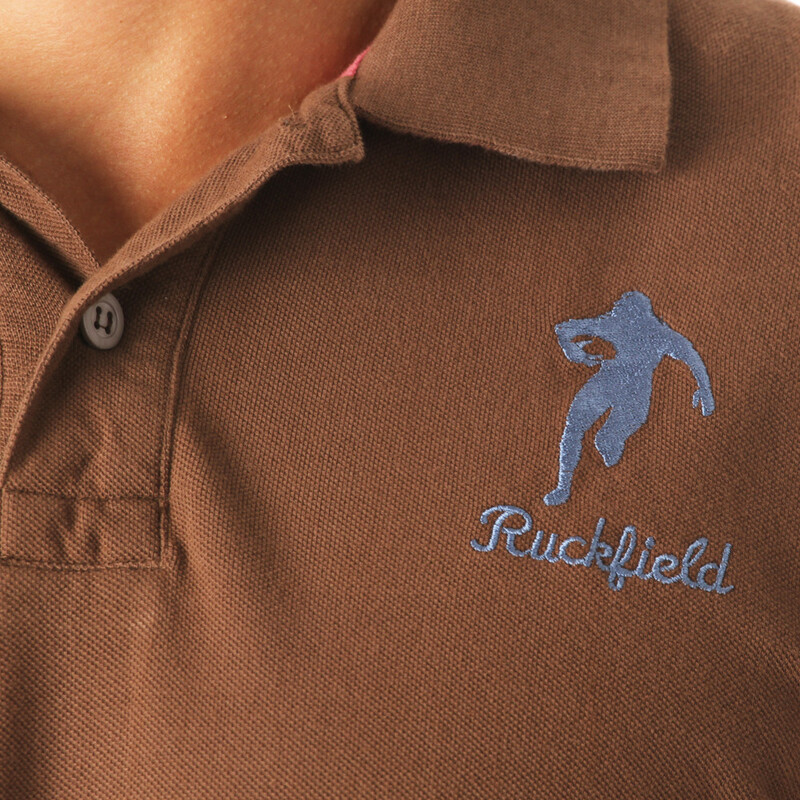 The blue patches and embroideries revisit one of Ruckfield's classics.